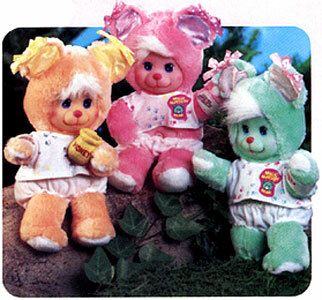 "We come from a land of ice and snow, and we show our love with a colourful glow. 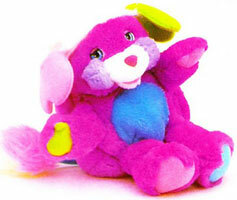 In pink or purple or blue, our colours will show a fun shape too. 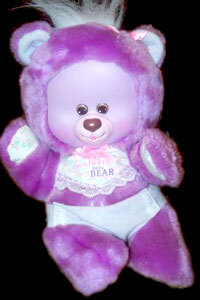 When we change our colour the fun doesn't end, with a nice, warm hug we'll turn white again!" 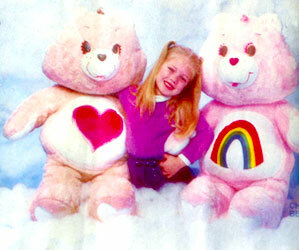 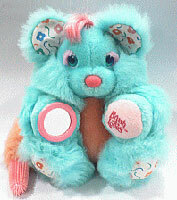 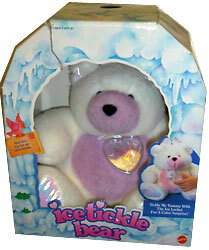 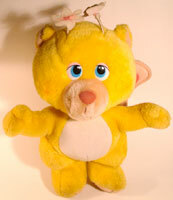 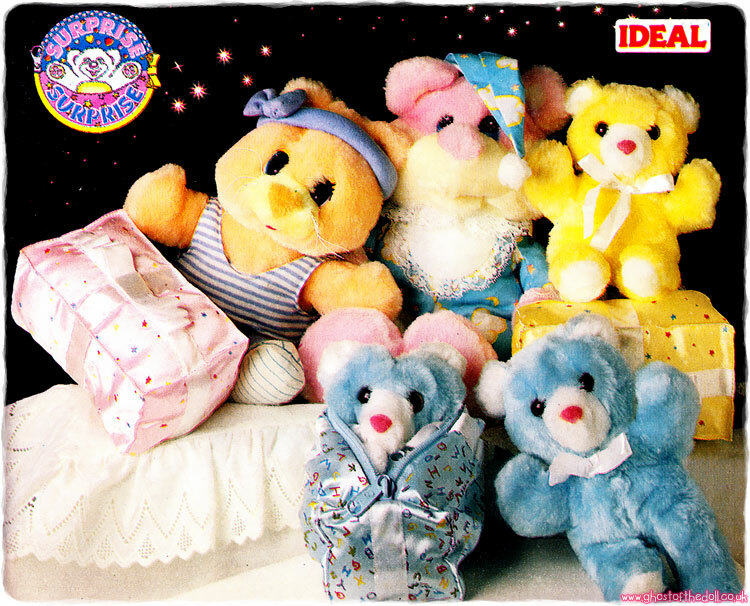 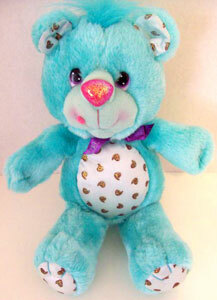 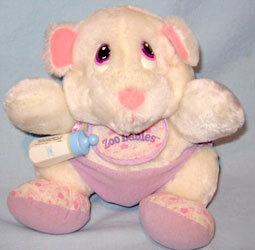 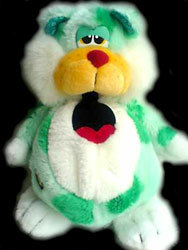 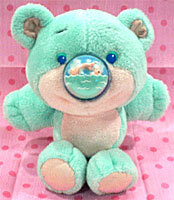 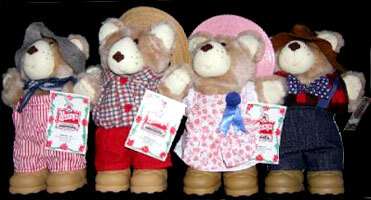 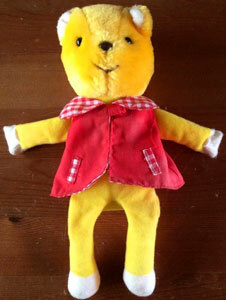 Ice Tickle Bears, Bunnies and Babies were produced by Mattel in 1994. 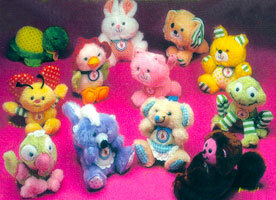 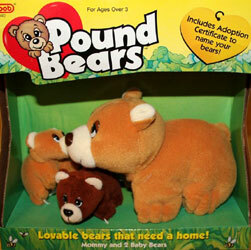 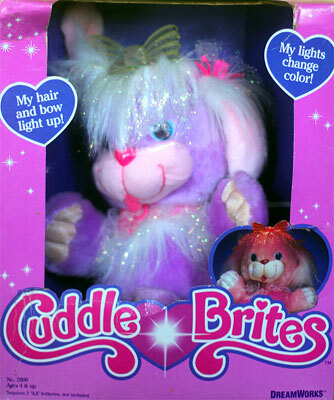 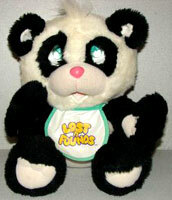 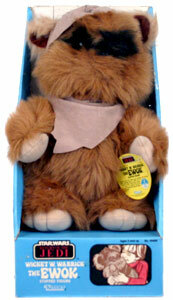 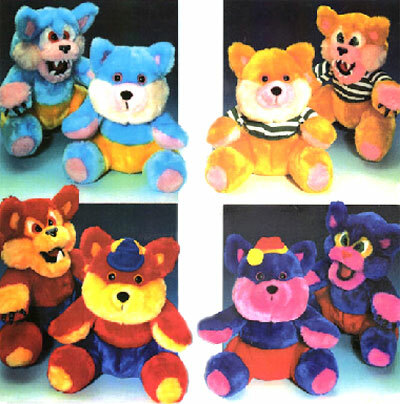 They were a small series of plush bears and bunnies with colour change fur. 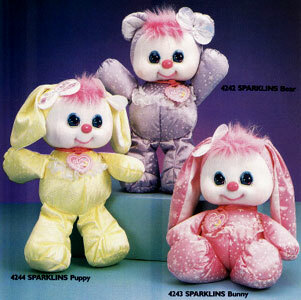 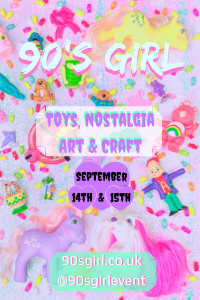 Images on this page thanks to Miss Leonie and eBay sellers Dennis-Collectibles-Dolls-And-Toys , hankiesandmore , Brainys Toys and Collectibles ,gtoruss and Bento Obento Shop ! 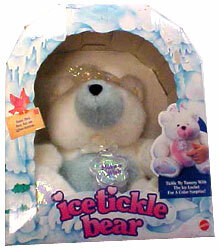 View all Ice Tickle Bears, Bunnies & Babies on eBay.com or eBay.co.uk ! 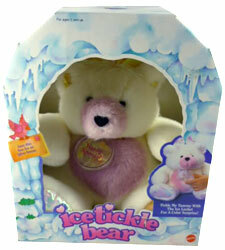 "Ice Tickle Bears come in 3 different colours, with 3 different colourful tummy shapes (a flower, circle or heart). 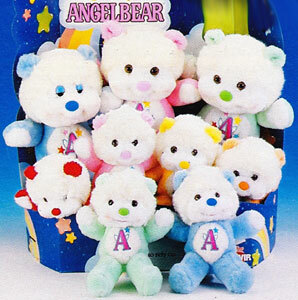 Which one will you get?" 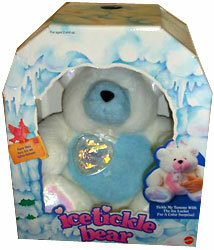 Freeze the ice locker that comes with your Ice Tickle Bear. 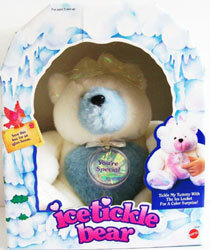 Rub the bear's tummy and muzzle with the frozen ice locket for a colour surprise. 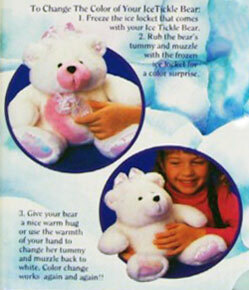 Give your bear a nice warm hug or use the warmth of your hand to change her tummy and muzzle back to white. 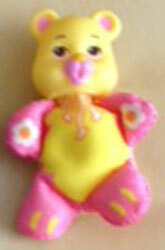 Colour change works again and again! 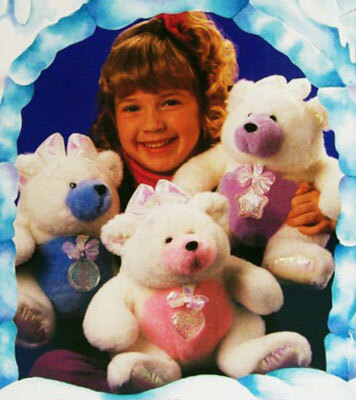 There were three Ice Tickle Bears produced. 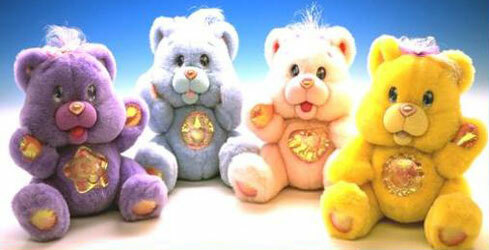 They were all white with colour change tummies and muzzles but over time they changed colour permanently. 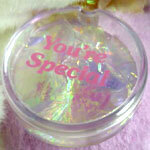 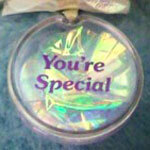 The ice lockets came in three shapes with text on them in either pink or purple. 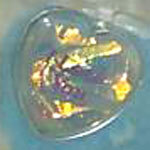 The publicity images (see above) showed a star shaped locket, but on full production, as the text stated on the packaging, it was flower shaped. 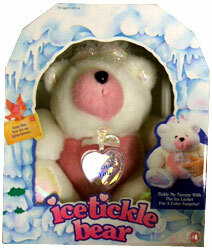 Heart Locket: "I Love You"
Flower Locket: "Make a Wish"
"Save this box for an igloo-house." 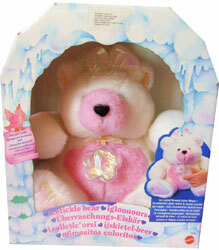 Packaging for the pink bear with the flower shaped locket shows that Ice Tickle Bears were also sold in various parts of Europe.